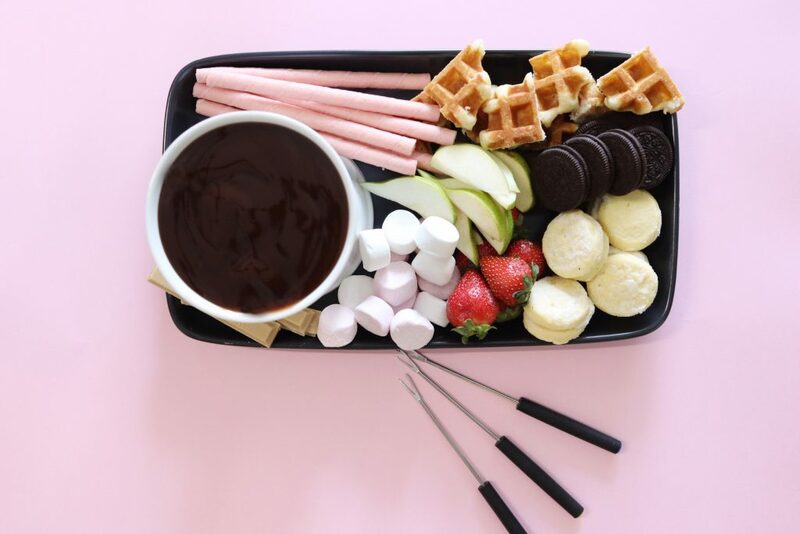 With Valentine’s Day just around the corner, I thought I would share this easy chocolate fondue platter for you to either share with your special someone, enjoy it yourself or spoil the kids. I’ll admit, we don’t really celebrate Valentine’s Day in this household, but I do bake something for the kids just for fun. This year, I thought I would skip the baking altogether and put together one of my trusty platters. You can never go wrong with a platter! They always look amazing, only take minutes to put together and you can add just about anything you like. All you need is a bunch of sweet treats, fruit and some melted chocolate or chocolate sauce. I purchased all of the products for this platter from Woolworths, including the fondue set for $10.00. 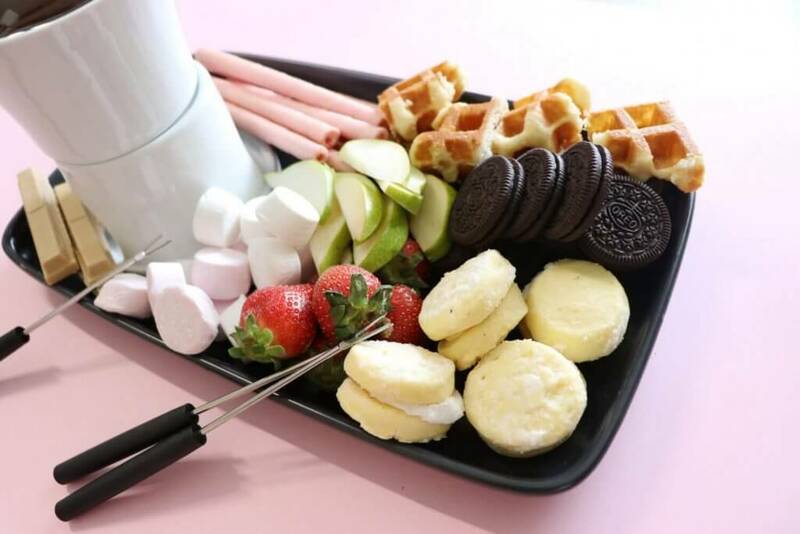 If you can’t find the fondue set, you could just melt some chocolate in the microwave and serve it in a little dish with some wooden skewers for dipping. Do you celebrate Valentine’s Day? I’d love to see any fondue platters you put together.